Spending the summer night right with some drinks by the pool and chicks playing with foam at the Liquid Bar in Manila Ocean Park! Check out these cool photos by Carl Ibale! This entry was posted in Events, Featured Events, Music, Party Photos, Uncategorized and tagged ACTM, ACTM Verge, beer pong, Foam Party, Pool Party. Bookmark the permalink. 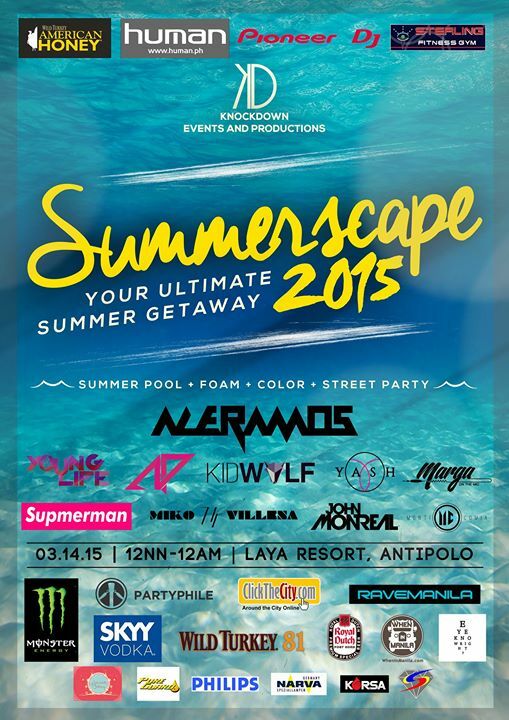 This entry was posted in Events and tagged 2015, antipolo party, dance, events, foam, grab taxi, guestlist.ph, KD Productions, Knockdown, Knockdown Productions, liquor, Party, Partyphile, pool, Pool Party, rave, street, summer, swimming, UST, wet and wild. Bookmark the permalink. The summer heat’s already kicking in. Are you ready to cool off? This entry was posted in Events, Featured Events, This Week's Hot Events and tagged actm ateneo, Ateneo, Contests, edm, events, Foam Party, free, free tickets, fun, guestlist.ph, manila events, news, Party, Party Photos, Pool Party, rave, wet, wild. Bookmark the permalink.